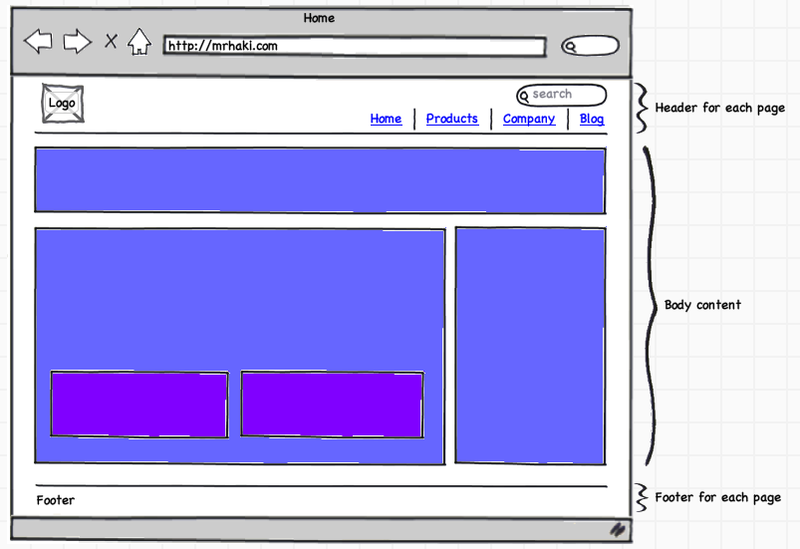 Grails uses Sitemesh to support view layouts. 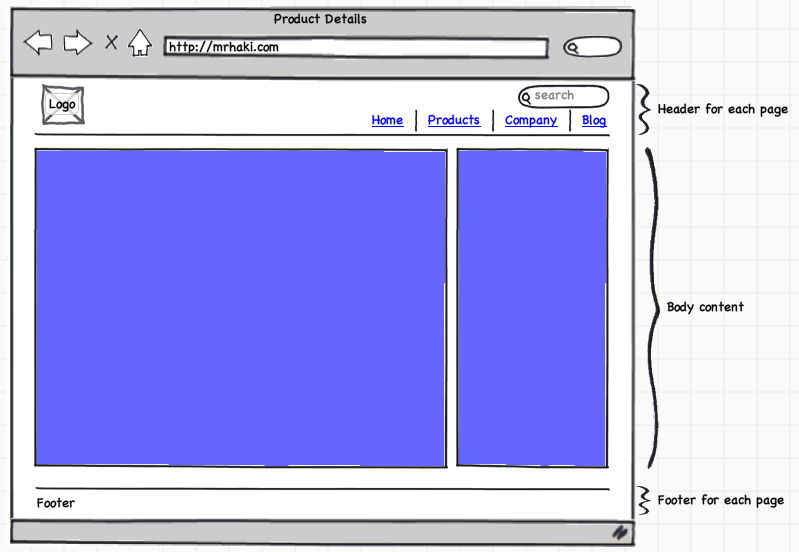 A layout contains common HTML content that is reused on several pages. For example we can create a web application with a common header and footer. 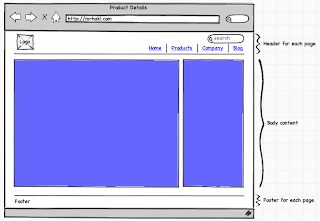 The body of the HTML pages is different for the pages in the web application. But the body can also have a common layout for certain pages. For example some pages have a body with two columns, others have a single column. To reuse these layouts we can use the <g:applyLayout .../> tag. 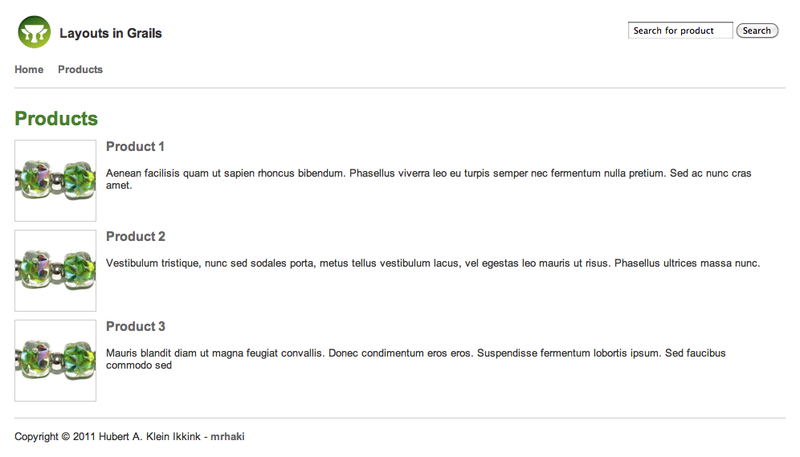 This means we can apply layouts in layouts, which provides a very flexible solution with optimal reuse of HTML content. 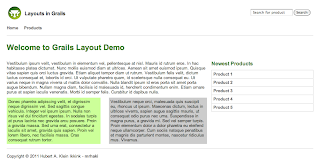 Update: another way to apply layouts in layouts based on the comments by Peter Ledbrook. Let's see how this works with a small sample application. All pages have a header with a logo, search form and main menu. Each page also has a footer with some copyright information. The homepage has a body with five blocks of information, we have product list page with a one column body and finally a product details view with a two column body. 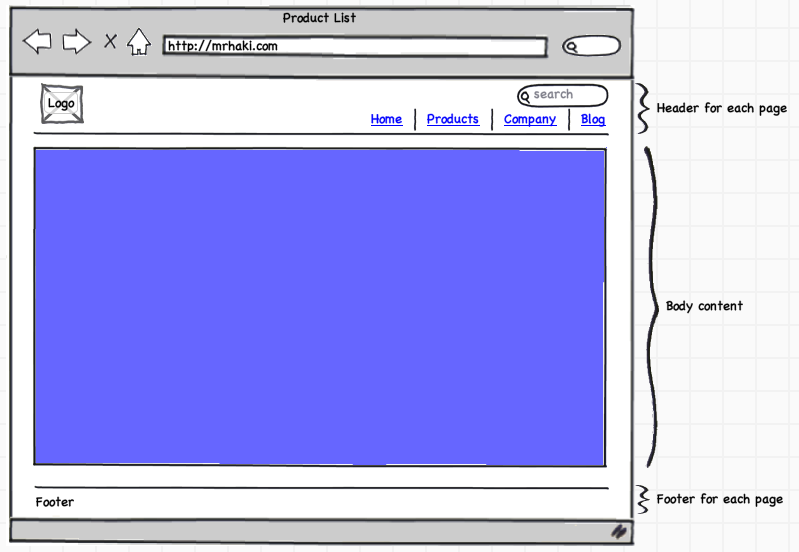 First we create the main layout with the header and footer HTML content. The body content is variable for the pages, so we use <g:layoutBody/> in our main layout. 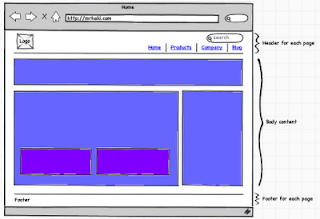 For our homepage we define a layout with five blocks. We use Sitemesh content blocks in our layout. 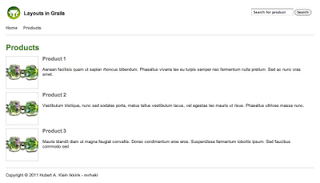 This way we can define content blocks in the pages and reference these components in the layouts. To reference a content block we use the <g:pageProperty .../> tag. The name attribute contains the name of the content block we want to reference. Notice we reference our main layout page with <meta name="layout" content="page"/>. And in the homepage Groovy server page we can use the <g:applyLayout .../> tag and define the content for our Sitemesh content blocks. Because this is only a small sample application this might seem like overhead, but for a bigger application it is really useful to have reusable layouts. 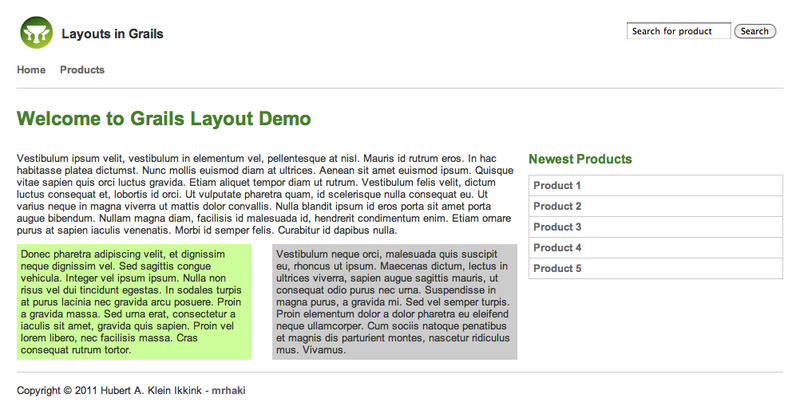 The following screenshots show the layouts in action for a Grails application.